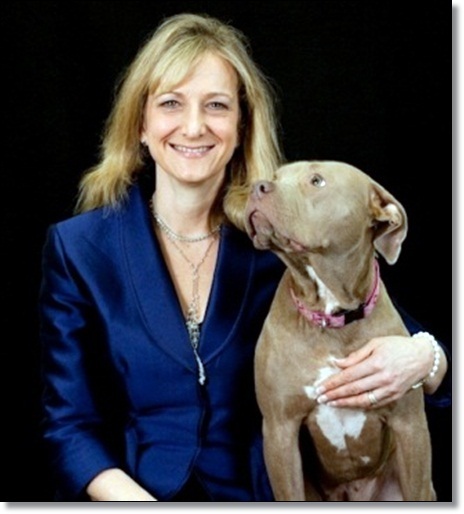 Washington, DC – The Washington Humane Society (WHS) is proud to announce that Lisa LaFontaine, WHS President and CEO, has been honored with a 2013 Brava! Award, which celebrates the distinguished achievements of Greater Washington’s women leaders. In the July 2013 edition of SmartCEO, LaFontaine is commended for her dedication to DC animals which has helped the organization bring their adoption rates to an all-time high. Lisa is recognized for being a vocal advocate for pit bull type dogs, helping the organization achieve a 50% increase in revenue and a 300% increase in fundraising events, and going above and beyond as a foster parent for more than 200 homeless animals during her six years with WHS. As the only Congressionally-chartered animal welfare agency in the country, providing care to nearly 30,000 animals each year, WHS is proud to have a strong leader with the limitless courage and commitment to helping DC animals that Lisa LaFontaine has shown.